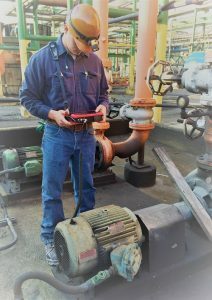 Vibration Analysis is the process of monitoring the condition of equipment, and the diagnosis of faults in equipment through the measurement and analysis of vibration within that equipment. The goal of the plant wide PdM program is to insure that the assets marked for monitoring are fully operational as intended and meet or exceed standard industry and manufacturer’s specifications. Specifically, overall vibration amplitudes will be monitored and trended for each asset. In depth spectral signature analysis will be performed on all measurement points to insure that no bearing, gearing, electrical or other anomalies are present. If defects or problems are found, specific recommendations are made in a compresehnsive report as to the nature of the defect and suggested remedial action required. 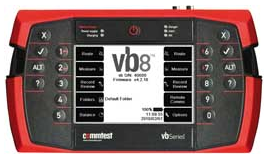 All vibration analysis is performed by our team of ISO (18436.2) certified vibration analysts and all aspects of our program follow ISO 10816, ISO 13373-1:2001 and ANSI standards for condition monitoring and diagnostics of machines.